The materials listed below are commonly prescribed, but are not the only materials available. Crown glass is available but not commonly used due to weight and durability concerns. Polycarbonate is great for impact resistance, scratch resistance and natural UV protection. While it is great for your budget, you may not see as crisp as you would like. Light does not pass through this material as well as other types of lenses. Trivex is the material you want if you value crisp, sharp vision from your glasses. While it is not as impact resistant as polycarbonate, it delivers the highest quality optics out of all materials except for glass. This material will fit your budget and give you the vision you are looking for. High index plastic is a premium material that will create the thinnest, lightest pair of glasses you can imagine. This material fits a very wide range of prescriptions and delivers amazing optics to help you see th best you can, especially when you have a higher prescription. Transitions is the lens technology of the future. This is a light adaptive lens that gives you more UV protection tan ever before. Your lenses will naturally darken depending on the amount of UV radiation. It is great for people who are light sensitive, who spend time outdoors, or for the people who just want to look cool with their “shades.” Transitions has an option for everyone. Wearers of prescription glasses and sunglasses commonly encounter annoying glare and reflections caused by light bouncing off their lenses. This glare makes it more difficult to see, especially at night. 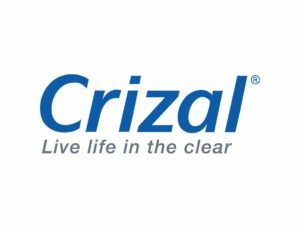 Crizal Anti-reflective lenses reduce these reflections allowing more light to pass through to your eyes. Lenses and frames are a very necessary and personal choice. Advanced Eyecare Center in Green Bay, Wisconsin has the experience to guide you toward eyewear selections that are comfortable and that work to complement your face. For help, schedule an appointment with your eye care provider and we’ll be in touch with you shortly. Between computers, tablets, and smartphones, we’re needing computer glasses more than ever before. All that screen time can be hard on your eyes and may cause digital eye strain. Eyezen enhanced single vision lenses provide sharper vision than ordinary single vision lenses and are available to everyone—whether you have a prescription or just want a pair of computer glasses.